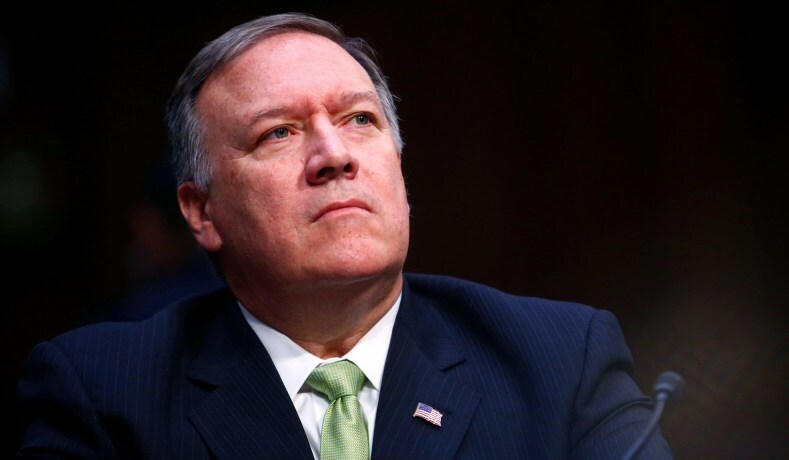 The U.S. Senate Foreign Relations Committee on Monday approved the nomination of President Donald Trump’s choice for secretary of state, Mike Pompeo, after a Republican senator who had been opposed threw his support behind the nominee. U.S. Senate Majority Leader Mitch McConnell said there were enough votes in the full Senate to confirm Pompeo as secretary of state this week. That would allow Pompeo to attend a NATO summit on Friday. Pompeo became one of Trump’s most trusted advisers during his 15 months as CIA director. Most recently, he has been deeply involved in preparations for Trump’s summit with North Korean leader Kim Jong Un, including meeting with him three weeks ago. While Democrats opposed Pompeo because they consider him too hawkish and worry about his past harsh statements about homosexuality and Islam, he has the support of at least three Democrats not on the committee, all but assuring he will be confirmed for State because no Senate Republican has announced opposition. “I don’t believe that Director Pompeo will always be someone who values diplomacy over conflict,” said Senator Robert Menendez, the top Democrat on the Foreign Relations Committee. Paul’s late switch meant the nominee could avoid the embarrassment of being the first person nominated for secretary of state known to fail to secure the panel’s endorsement. That would have cast a cloud over Trump’s push to overhaul his national security team, after firing his first secretary of state, Rex Tillerson, last month. The White House and Republican Party had thrown their weight behind the nomination, with a series of attacks on Democrats for opposing Trump’s pick. “I have changed my mind. I decided to go ahead and vote for Director Pompeo,” Paul said before the committee vote after announcing on Twitter he had abruptly ended weeks of opposition.